Eight days from now—on April 1 in Austin, Texas—Leonard Cohen will begin the North American leg of his ongoing world tour, heralding his first run of U.S. dates in over fifteen years. At his side, singing backup as she’s done throughout this itinerary, will be Sharon Robinson. In fact, she’s been a recurring figure in Cohen’s music for the last three decades, whether serving as a vocalist (on stage and in the studio) or co-writer (as on “Waiting For The Miracle” and “The Letters”). 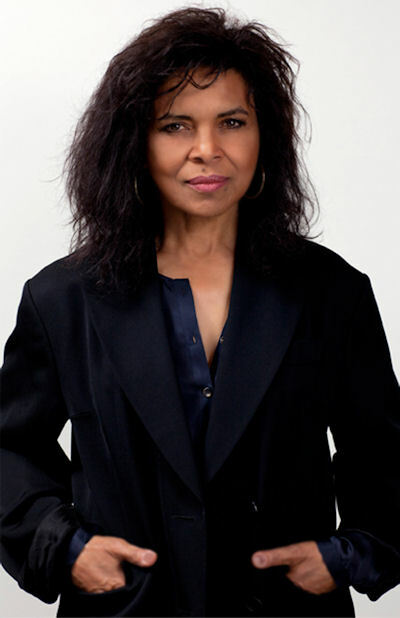 Robinson broadened her creative palette on Cohen’s 2001 album, Ten New Songs, which she produced as well as having co-written, arranged, and sang on each of its tracks. On this initial release, Robinson deftly interprets three songs previously co-written with Cohen—“Summertime,” “Alexandra Leaving,” and the title track—having solely composed seven originals that further distinguish her talent. Before heading back out on the road, Robinson discussed her new album with Donald Gibson, reflecting not only on the music, but also on what insight she gleaned from her mentor as she sought to find a voice to call her own. Was there a primary impetus—because you’ve had a career for many years—something that inspired you to go out on your own this time? Making Ten New Songs with Leonard was the main impetus. 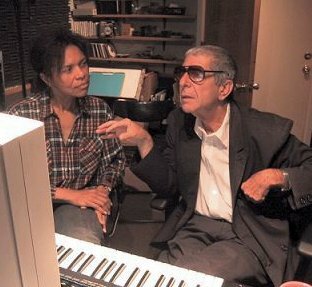 Because not only did Leonard encourage me to make my own record after we did that one, [but] I kind of had a method established for doing so. At least initially, I embarked on my record in the way that we made Ten New Songs, in terms of the recording and the arrangements. But also, and probably more importantly, I learned a lot about working with that artist’s voice and being true to a certain voice. Leonard knows himself very well as an artist, as a poet, as a writer; and it’s very informative to watch his process up close like that and to understand how he gets to the stuff that he deems relevant for him as an artist. Was there tentativeness on your part—as producer, making Ten New Songs—not to infringe on whatever vibe he had going? Of course, I brought in my aesthetic musically, but as a producer my job was really to facilitate his expression. And I tried to keep my eye on the ball with that all the time… It was not up to me to push any concept of mine on him, but to open things up and offer ideas for him to choose from. So it wasn’t a Phil Spector rerun. Leonard is known for spending eons writing his works; for you, is songwriting an effort? Yes, it often is quite a bit of an effort. You never know, when you write a song, how it’s going to go. Some of them… I’m sure you’ve heard people say, ‘They write themselves.’ Others definitely don’t [Laughs]. And there are songs where, parts of it, you really feel good about and believe in and then other parts you don’t. You may spend years trying to fix a song. Of the songs that you wrote alone on Everybody Knows, did you know at the start of the endeavor that these songs were meant for you to sing? Some I wrote years ago when I was writing for other people, but most of them I wrote for myself. It took me a little while to find that voice, to figure out what it [was] that I wanted to say. It was difficult, but extremely worthwhile. I feel good enough to have found an identity for myself as an artist. There’s an ethereal vibe in the music and your vocals even reflect that on some songs as well with slight echo effects and embellishments. Yet the songs are weighed down by an intimate, almost meditative quality. Was that something you wanted to achieve, that contrasted dynamic? I was looking for a sound that was mine. And I had to dig deep to find it, but at the same time it felt very natural. It feels like the kind of music that I like, what I want to put out there. The ethereal quality that you talk about, it’s just part of the way I find the emotion. The ways certain things intertwine—how you’ll have a live piano over electronica flourishes—come off really well. I’ve never been one to be very genre-specific. And that’s one of the things I like about this record is that it just crosses over genres and it’s being noticed by people from a lot of different genres. That’s always been my approach to music. And my enjoyment of music always crosses genres. That’s part of the character of this record. As you co-wrote everything on Ten New Songs, why did you choose “Alexandra Leaving,” in particular, over anything else from that album? I felt that “Alexandra Leaving” fit well with the other songs and that, melodically, it was something I wanted to do in that I could do something different from what’s on Ten New Songs. Is there a specific or prevailing way that Leonard has inspired you as a songwriter, in the way you approach the craft? He’s shown me how to write from the point of view of one’s heart and not from the point of view of trying to get a hit record. When I was a staff songwriter in the past, that was more the point of view. Now, it’s changed. As an artist, I’m always reaching for that same kind of integrity. I imagine that takes a lot of digging. Yes. And unless you can get yourself into a certain kind of head space, you can’t even begin to do that kind of digging. It’s so worth it [though], because the deeper you can go, the deeper you go into humanity, the more people you’re reaching. We have so much in common, in terms of being here on this earth. After this tour with Leonard, are you planning any shows of your own? I am planning to do some shows when the opportunity presents itself… I’m sure I will be doing that before too long.